Mensho is a fantastically unique ramen shop in Bunkyo with a top-notch chef that sources the freshest ingredients from local farmers. Doesn’t it just make you start to drool!? Now that’s an introduction to a ramen shop. The thing that is easy to miss about this shop is this: it sources ingredients from local suppliers and cares deeply about the quality of everything. You’ll find this is quite common in Japan — where the owner actually cares and pushes their craft. It’s something to admire. 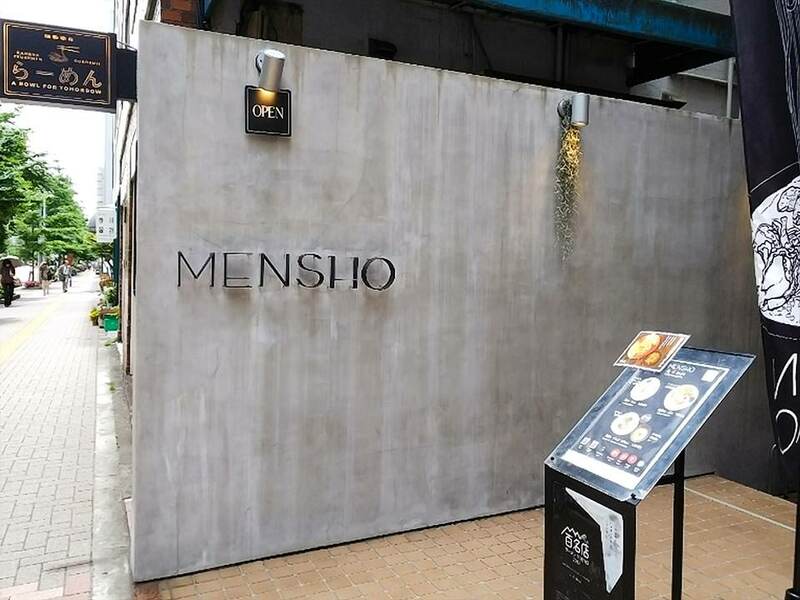 Mensho is constantly pushing the envelope to discover new ways to improve the flavor and add unique qualities to the menu. If you’re looking for ramen that isn’t the typical ramen found all over Japan, look no further than Mensho in Bunkyo — you won’t regret the trip. I mean, even the bowls are specially made for this shop. It’s unlike anything you can find anywhere else in Japan; incredible to the very last, teeny-tiny, detail. +Here is a direct link to photos of this ramen shop on Google Maps, because you’ll want to see this (you’ll also find some great photos on the Tabelog link). +Expect to spend about ¥1,500 per person and bring cash; they don’t accept credit cards. No parking here either, take the train or park a paid parking lot (Tabelog). “I can safely say that I have never – ever – experienced ramen so… deliciously different. While the menu deliriously opens up for dinner, a lunchtime visit gifts you with the milled wheat tsukemen dipping ramen for 1000 yen. Tokyo: The Wards & Districts That Forge this Mega-MetropolisSo you want to come to Tokyo and you’re looking for things to do and if I had to guess, amazing food to eat. Tokyo is truly the food capital of the world. Tokyo Dome City: Fun for the Entire Family in the Heart of TokyoTokyo Dome City is an event space/amusement park area in the heart of downtown Tokyo with free admission. Plus shopping, relaxing spas, and hotels.